- Who are the Fasiqeen? - The cycle of life and the journey of the soul. Learn some profound lessons from the first story in the Quran about the creation of Adam and the dialogue between the angels and God. Check out my latest podcast. A deeper perspective on the meaning of faith (eman) that is practical for our life and relevant to our times. Brother Fahad shares his amazing reflections on Qur'an - A perfect purification phase in every life. Fixing our mindset for success in Dunya and Akhirah. Most important topic of life, knowing your values. "Discover Your Values"
In his exhaustive study of Surat Al-Bayyinah, Fahad Sarwani reflects on the on Ayahs explaining who are Kafir? right definitions in Quran about various identities. He explores how important it is to know about different people mentioned in Quran. So much positive in the words of Allah Swt. Please share if you like it. This short but profound Surah (chapter) describes the Earth’s convulsions on the Day of Judgment, and how this is mirrored by the psychological convulsions that will be experienced by humans on that Day. Learn more about this Surah which is a great reminder of the ultimate day. Falaq is dedicated to delivering highly effective, enjoyable and engaging programs that will empower our clients to discover their true potential through excellence in consultancy, training & development. Sheikh Omar Suleiman is the President of the Yaqeen Institute for Islamic Research and a professor of Islamic Studies at Southern Methodist University. He’s also the resident scholar of the Valley Ranch Islamic Center and Co-Chair of Faith Forward Dallas at Thanks-Giving Square, a multi-faith alliance for peace and justice. Originally from New Orleans, LA, he began his journey of traditional Islamic learning in the year 2000 and has spent years studying in the United Arab Emirates, Jordan, Malaysia, etc. Upon becoming certified in various traditional sciences, he completed a Bachelors degree in Islamic law, a Bachelors degree in Accounting, a Masters degree in Islamic finance, a Masters Degree in Political History, and is in the process of completing his PhD from the International Islamic University of Malaysia in Islamic Thought and Civilization. His career started in his hometown of New Orleans where he served as the Imam of the Jefferson Muslim Association in New Orleans for 6 years and directed the ICNA Relief “Muslims for Humanity” Hurricane Katrina Relief effort. It was in this time that he was noted on a national level as being a strong advocate of community service, interfaith dialogue, and social justice. He co-founded the East Jefferson Interfaith Clergy Association and was awarded for his outstanding civic achievement by the Mayor and City Council of New Orleans in 2010. He then moved to Dallas and became the Resident Scholar of the Valley Ranch Islamic Center in 2013 and more recently, Co-Chair of Faith Forward Dallas at Thanks Giving Square. In Dallas, he has been a noted leader and voice for peace, and has partaken as a representative of the Muslim Community in many city functions. He has since been a guest at various national functions to share his experiences in community building. Shaykh Omar most recently founded the Yaqeen Institute for Islamic Research which is a think tank that focuses on instilling conviction based on Islamic texts, and producing contribution. He also founded M.U.H.S.E.N (Muslims Understanding and Helping Special Education Needs), a nonprofit umbrella organization serving the community to establish a more inclusive “Special Friendly” environment for our Brothers & Sisters of all Disabilities. Shaykh Omar has taught Islamic Studies at the university level since 2008 with Mishkah University, Al Maghrib Institute, Bayyinah Institute, and the Islamic Seminary of America. 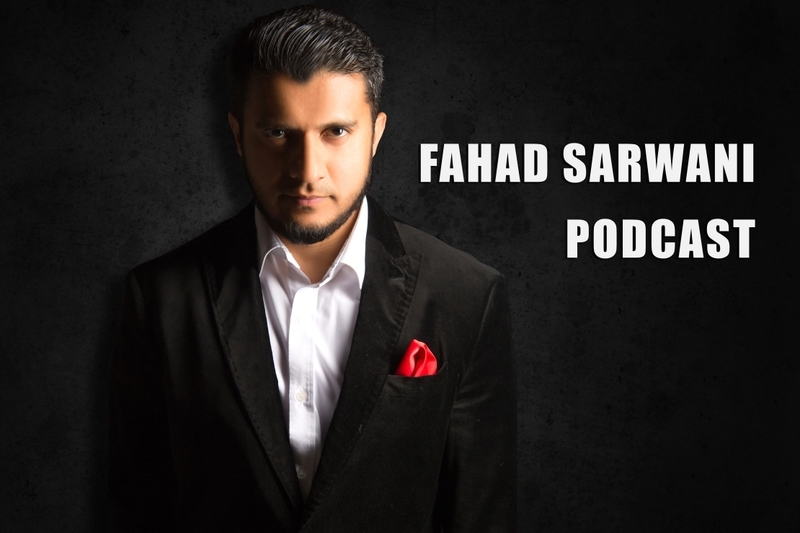 In media, he’s one of the creators of the internationally acclaimed “Inspiration Series” which has reached millions of Muslims and Non Muslims through YouTube and Islamic Television stations worldwide. He’s also known for his series on Quran weekly as well as his contributions to Hadith of the Day. Welcome Ramadan with Reflections on Qur'an Ayahs. By Fshad Sarwani. Surah Al-Mu'minun by brother Fahad Sarwani. Amazing reflection on each ayah and how it is connected to each other. How believers live in paradise now and then? Learn what all characters and habits Believers possess. What is Khushuh in Salah means? How believers are mindful, protective and careful. Learn how important it is to purify moment to moment.